Welcome to the oscarcinema.ae website (the "Site"). These terms and conditions ("Terms and Conditions") apply to the Site, OSCAR CINEMAS LLC and all of its divisions, subsidiaries, and affiliate operated Internet sites which reference these Terms and Conditions. Anything that you submit to the Site and/or provide to us, including but not limited to, questions, reviews, comments, and suggestions (collectively, "Submissions") will become our sole and exclusive property and shall not be returned to you. In addition to the rights applicable to any Submission, when you post comments or reviews to the Site, you also grant us the right to use the name that you submit, in connection with such review, comment, or other content. You shall not use a false e-mail address, pretend to be someone other than you or otherwise mislead us or third parties as to the origin of any Submissions. We may, but shall not be obligated to, remove or edit any Submissions. Please note that there are cases when a ticket booking cannot be processed for various reasons. The Site reserves the right to refuse or cancel any purchase for any reason at any given time. You may be asked to provide additional verifications or information, including but not limited to phone number and address, before we accept the online booking. We are determined to provide the most accurate pricing information on the Site to our users; however, errors may still occur, such as cases when the price of an item is not displayed correctly on the website. As such, we reserve the right to refuse or cancel any online booking. In the event that an item is mispriced, we may, at our own discretion, either contact you for instructions or cancel your online booking and notify you of such cancellation. We shall have the right to refuse or cancel any such online bookings whether or not the order has been confirmed and your credit card charged. These Terms and Conditions shall be interpreted and governed by the laws in force in Abu Dhabi, United Arab Emirates. Subject to the Arbitration section below, each party hereby agrees to submit to the jurisdiction of the courts of Abu Dhabi and to waive any objections based upon venue. Any controversy, claim or dispute arising out of or relating to these Terms and Conditions will be referred to and finally settled by private and confidential binding arbitration before a single arbitrator held in Abu Dhabi, UAE in English and governed by Abu Dhabi law pursuant to the Rules of Commercial Conciliation and Arbitration of 1994 (Abu Dhabi), as amended, replaced or re-enacted from time to time. The arbitrator shall be a person who is legally trained and who has experience in the information technology field in Abu Dhabi and is independent of either party. Notwithstanding the foregoing, the Site reserves the right to pursue the protection of intellectual property rights and confidential information through injunctive or other equitable relief through the courts. In addition to any other legal or equitable remedies, we may, without prior notice to you, immediately terminate the Terms and Conditions or revoke any or all of your rights granted under the Terms and Conditions. Upon any termination of this Agreement, you shall immediately cease all access to and use of the Site and we shall, in addition to any other legal or equitable remedies, immediately revoke all password(s) and account identification issued to you and deny your access to and use of this Site in whole or in part. Any termination of this agreement shall not affect the respective rights and obligations (including without limitation, payment obligations) of the parties arising before the date of termination. You furthermore agree that the Site shall not be liable to you or to any other person as a result of any such suspension or termination. 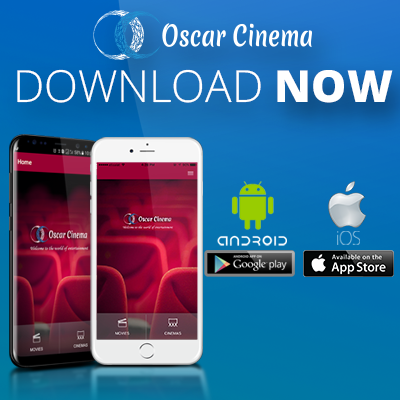 If you are dissatisfied with the Site or with any terms, conditions, rules, policies, guidelines, or practices of OSCAR CINEMAS LLC in operating the Site, your sole and exclusive remedy is to discontinue using the Site.